If any person truly fits the definition of well-rounded, it’s Brittany Spivey. 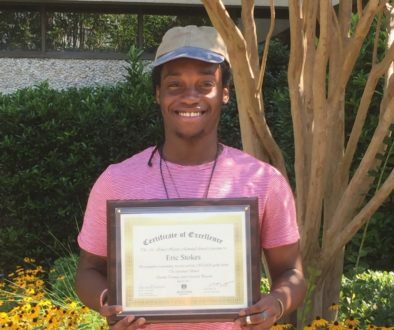 Spivey, who earned an Associates of Science from Northern Virginia Community College (NOVA) in May, has interests not only in STEM, but also in sports, the arts, and student government. These pursuits are all part of her goal to become a dentist. As a child, Spivey realized she wanted to enter a field where she could use her hands to help others. In high school, Spivey took a dental careers class where she learned the basics of dental work. She later worked as a dental assistant for four months in 2015, using the skills she gained in high school. Spivey’s artistic ability also gives her an extra edge when applying for dental school. Dental schools also seek leadership ability, and Spivey has it in spades. At NOVA, Spivey rose from a senator to president of her campus’s student government in three years. She also ran cross-country on NOVA’s track team for two years. As president, Spivey worked to get NOVA to officially recognize and charter its student government. This change ensured all governmental bodies across NOVA’s six campuses will follow the same constitution and share the same vision. “Now that we’re following the same rules, and we’re official recognized by the school, we can focus on even bigger issues,” Spivey said. 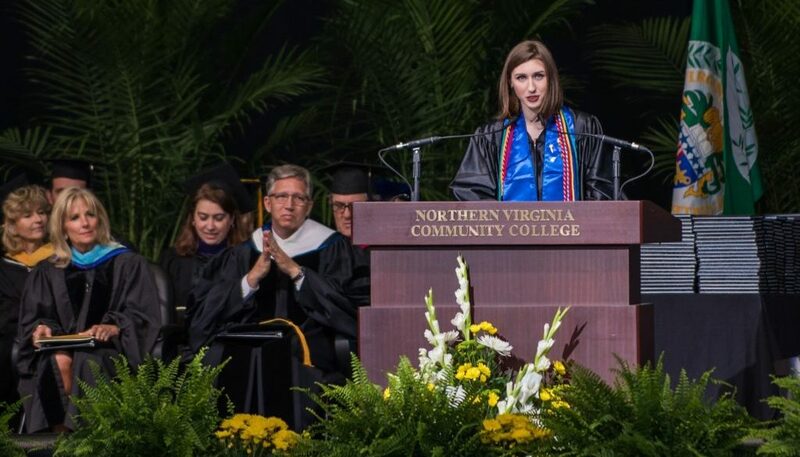 Additionally, as a student representative to NOVA’s college board, Spivey was chosen to introduce Former Second Lady and NOVA English professor Dr. Jill Biden during the school’s 2016 commencement ceremony. Spivey said the experience helped solidify her confidence, preparing her for handling high-pressure situations in dentistry. Her multidisciplinary success allowed Spivey to stand out as an applicant. 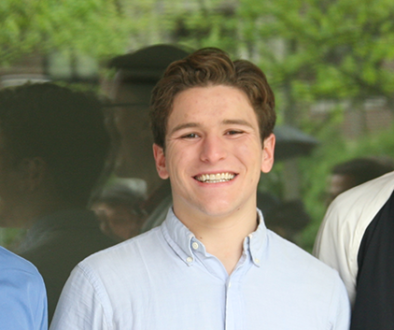 In the summer of 2016, Spivey worked as a National Institutes of Health (NIH) intern at the National Institute of Dental and Craniofacial Research (NIDCR). Spivey applied twice to the highly competitive internship, only gaining entrance the second time. Spivey worked in a lab at NIDCR, though some of the other NIH interns weren’t so lucky. In the lab, Spivey researched the creation of enamel, the hardest tissue the human body produces. Spivey will study biology at Virginia Commonwealth University in the fall. 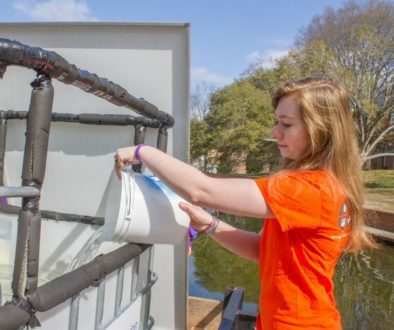 She hopes to continue her love of helping people by volunteering in underprivileged areas at home and abroad. “I’m pretty lucky in a lot of ways, and I come from a privileged background, but going to a community college made me realize just how lucky I am,” Spivey said.